NAC Members Famous Brands International (“Famous Brands”), the parent company of Mrs. Fields Cookies and The Country’s Best Yogurt (TCBY), and Taste of Nature, Inc., a rapidly growing candy and snack food manufacturing company, today announced a new licensing partnership for Mrs. Fields-branded pre-packaged cookies. Effective January 1, 2018, Taste of Nature, Inc. will become responsible for the manufacturing, sales and distribution of Mrs. Fields pre-packaged shelf stable cookies, including both Everyday and Seasonal varieties, to virtually all classes of trade and sold at grocery and retail locations throughout North America and more than 20 countries worldwide. 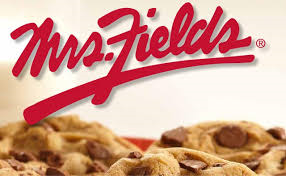 Mrs. Fields, known for its freshly baked cookies right out of the oven, opened its first store in 1977 and currently sells products at more than 300 retail locations globally and online, as well as licenses its trademarks, logos and recipes to third parties for distribution. Through its partnership with Taste of Nature, Inc., Mrs. Fields is well-positioned to continue its sales growth within the retailer channel and enhance its industry-leading brand awareness. Mrs. Fields is based in Broomfield, Colorado with a production and distribution facility in Salt Lake City, Utah. Debbi Fields opened her first store in Palo Alto, California in 1977 and the Mrs. Fields name quickly became associated with warm, freshly baked cookies right out of the oven. Today, Mrs. Fields enjoys the highest aided brand awareness in the industry and sells products at over 300 retail locations globally and online. Visit https://www.mrsfields.com for more information. ABOUT TASTE OF NATURE, INC. Founded in 1992, Taste of Nature, Inc. is a rapidly growing candy and snack food manufacturing company whose fun and innovative products may be found on store shelves nationwide. The company manufactures and markets a large variety of licensed and proprietary brands including: Cookie Dough Bites® in 5 flavors, Cookies N Cream Bites®, Muddy Bears®, Care Bears® Gummi Bears, Sqwigglies®, Cotton Candy Swirlz®, Hawaiian Punch® Cotton Candy, Ginormous® Gummi Bear, Snake Bitez® Gummi Snakes, Santa’s Village®, Bunnytail Lane®, Shari Candies® and more.